One of the first things Sherry and I taught our children, once they were old enough to understand, was to never get in a vehicle with strangers. Our parents before us were no less conscientious in teaching us the identical directive. It was drilled into us–we drilled it into Krista and Christopher. Thinking back on my own childhood, though, I wonder how well my siblings and I had learned the lesson our parents had so assiduously taught us. 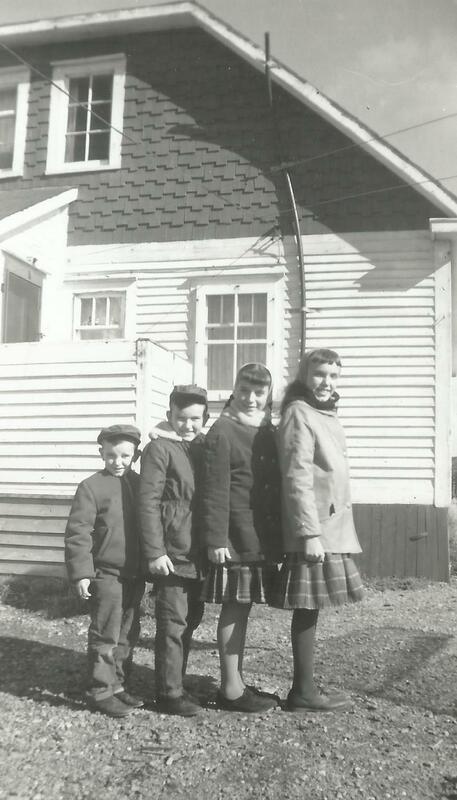 When Dad was stationed in Twillingate as the Pentecostal pastor, we walked everywhere, even in winter blizzards–to the store, to church, to our friends’ yards, to school, to the post office. The primary reason was that Dad didn’t own a car. He owned a moped–which reached a maximum speed of 45 mph–but it would have been highly impractical for him to carry all four of his children to school on his bike. For one thing, it would take forever, as he could carry only one additional person, even if he wanted to. One memorable morning in the dead of winter, the four of us left the parsonage to brave the elements to reach our respective schools. To get there, we had to cross a causeway. The bridge was narrow. It was hazardous for two vehicles to attempt to pass, especially if there were people walking on it at the same time. One vehicle would stop and wait for the other to cross. We Janes Four wended our way toward the bridge. As we neared it, we heard a vehicle approaching us from behind. We broke into single file. We and the car reached the bridge at the same moment. We hugged the right side. There must have been a vehicle on the bridge already, for the car behind us stopped abreast of us. We younger siblings generally followed the dictates of the eldest. It must have entered Hope’s mind that the car had stopped for no other reason than to give us a lift to school. I don’t know if she thought about our parents’ command that we never get in vehicles with strangers. Perhaps she figured it was a parishioner who knew the pastor’s kids. Whatever went through her mind, she stooped down and opened the back seat. “Come on,” she said as she climbed aboard. Not unlike the Brothers Grimm folktale of the Pied Piper of Hamelin, the remaining three siblings–Karen, David and yours truly–bundled in behind her. Once we were seated as comfortably as possible, considering that the four of us were scrunched on the seat, we lifted our eyes. Staring back at us, with mouth agape, was the driver. The look on his face seemed to say, Who are you and why are you in my car? When the oncoming car passed us, our chauffeur transported us safely across the bridge and deposited us near one of the two schools. We disembarked and walked the rest of the way. Oh you bad boy. Didn’t listen to ya parents at all. Good Story tho.